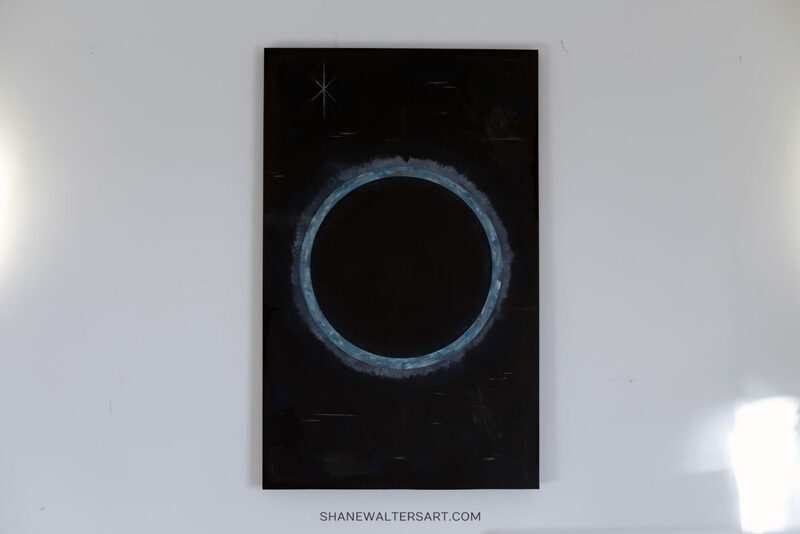 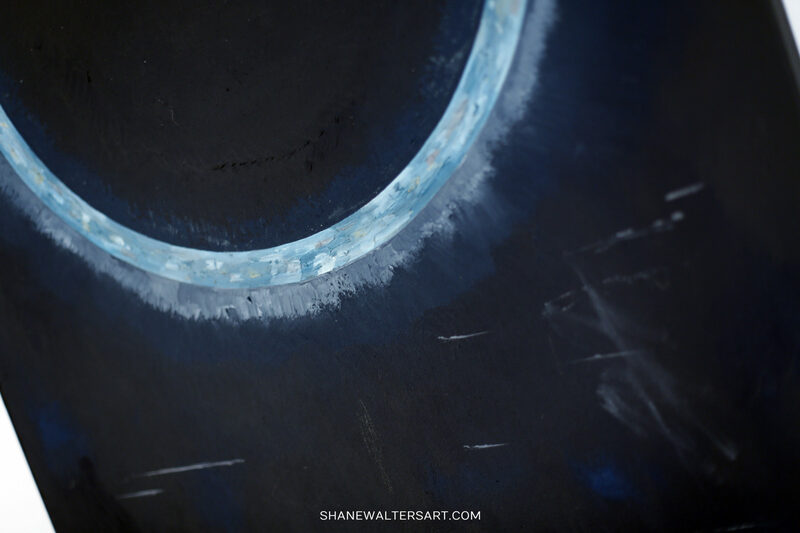 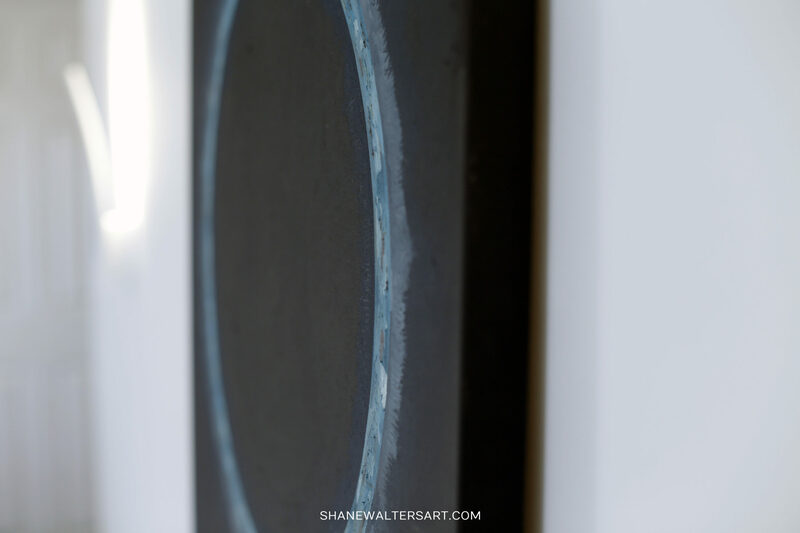 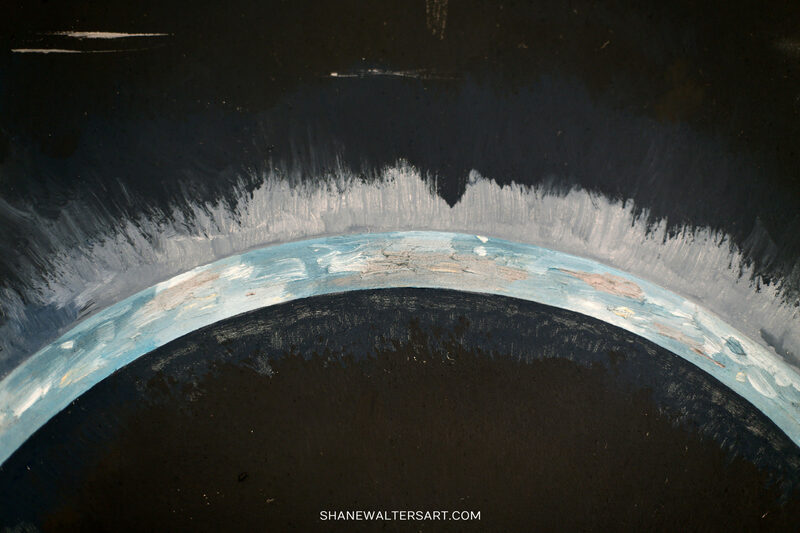 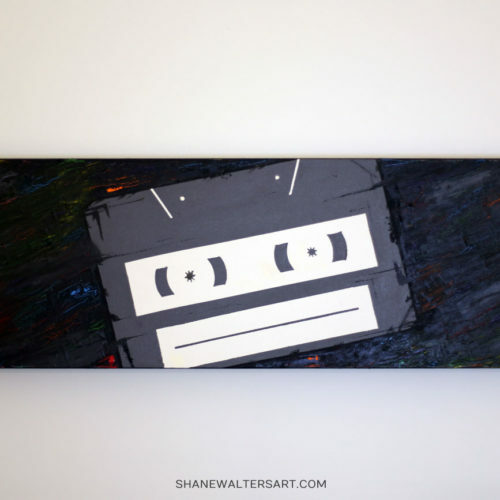 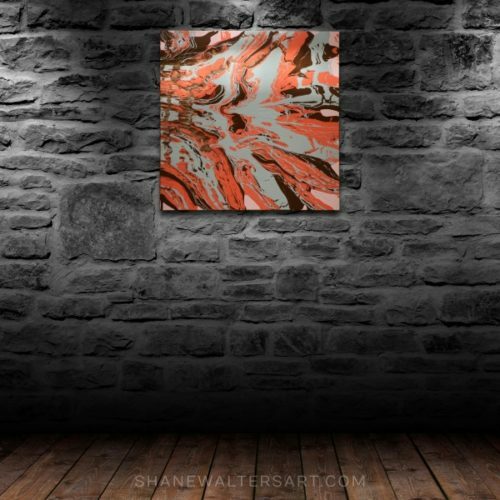 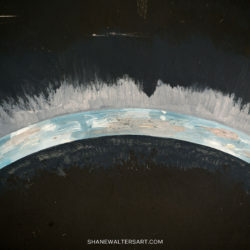 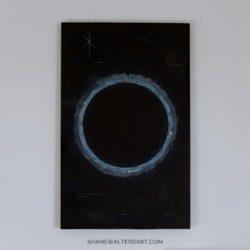 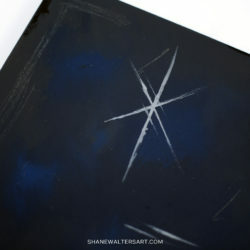 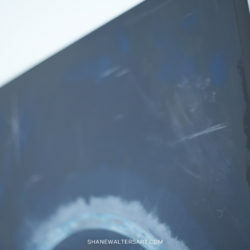 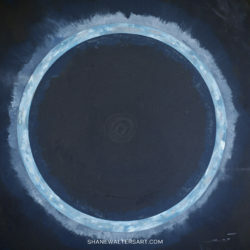 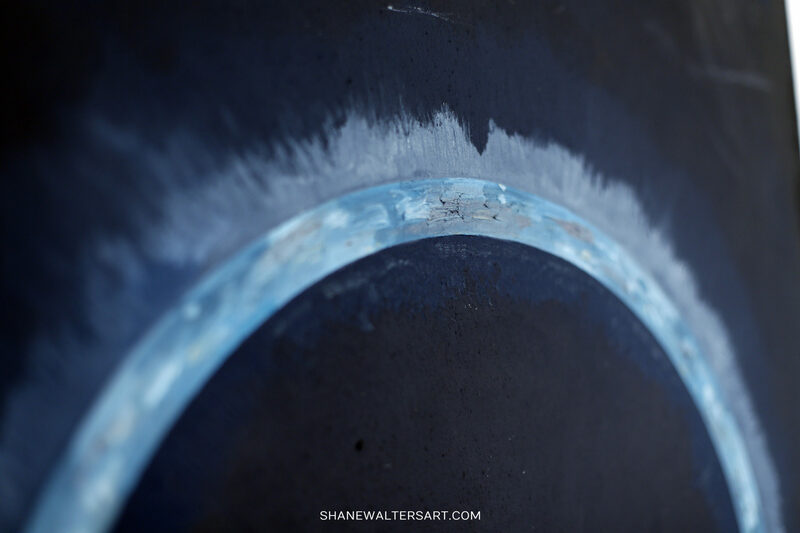 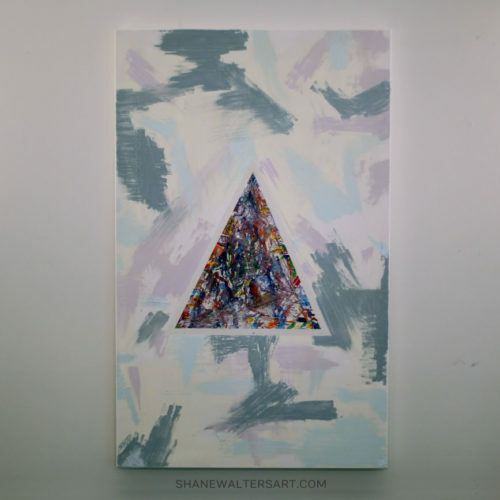 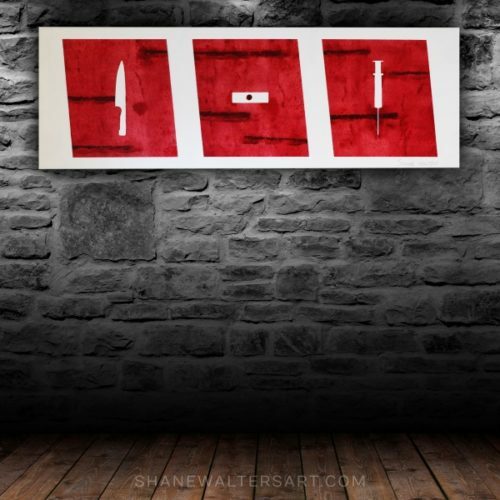 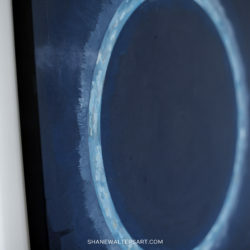 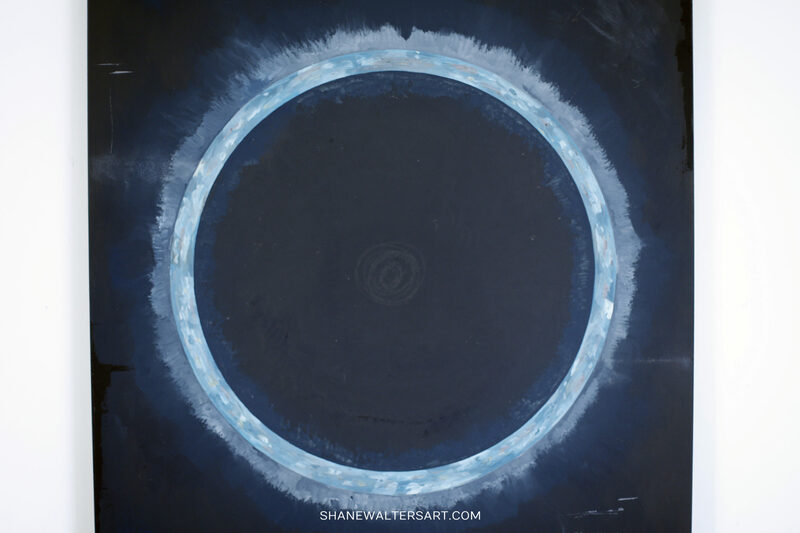 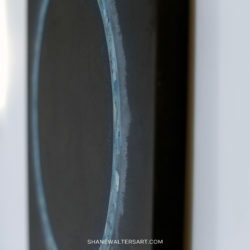 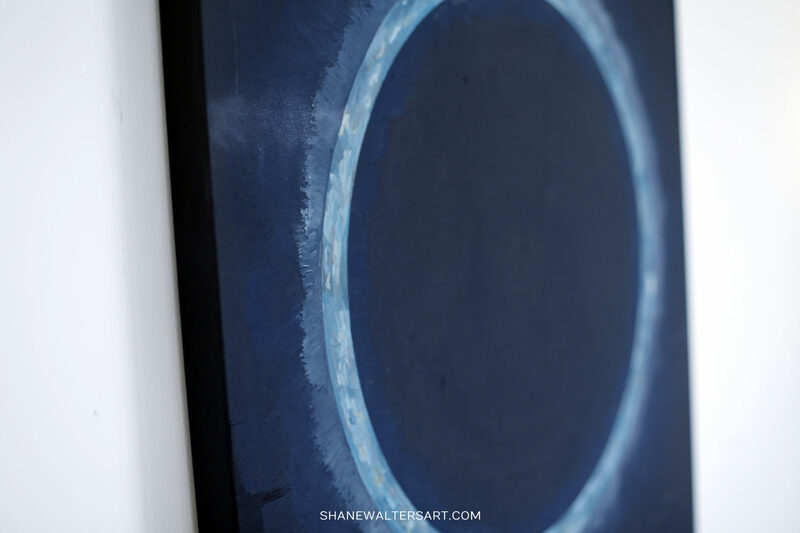 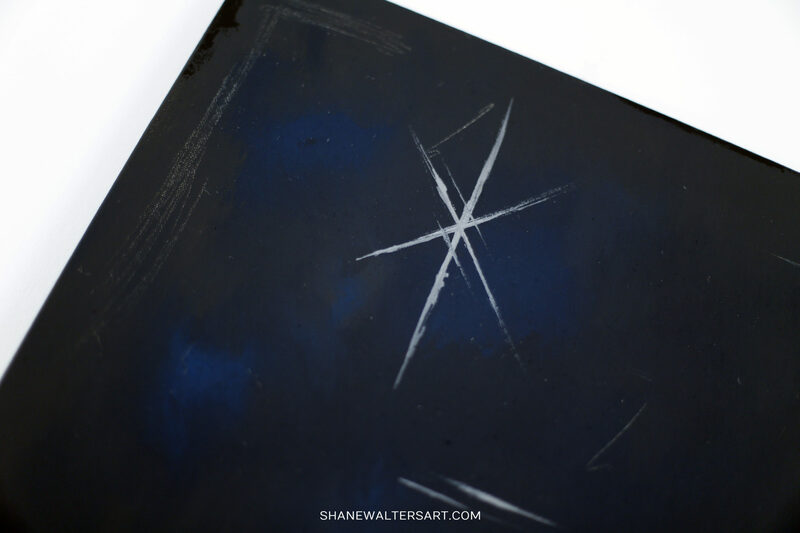 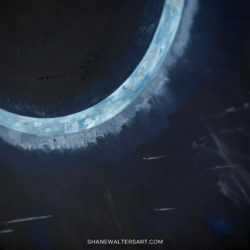 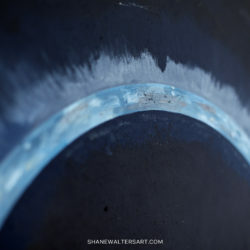 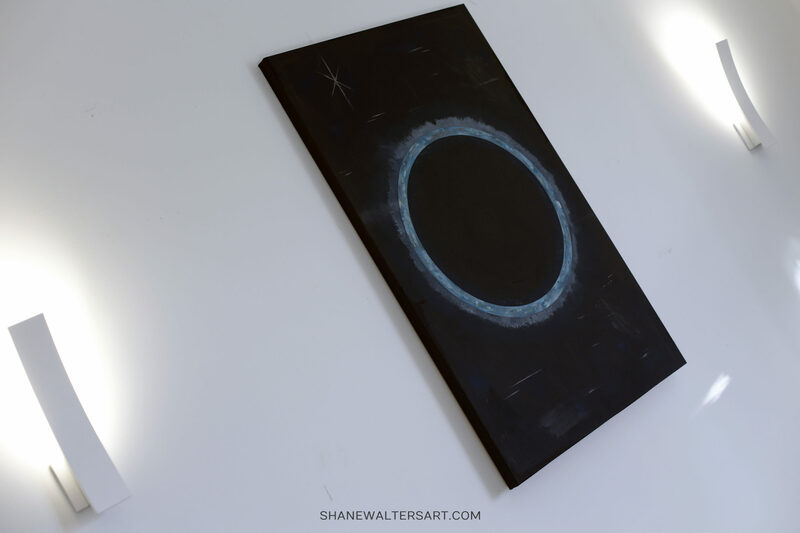 Planet eclipse painting by St. Louis based artist Shane Walters. 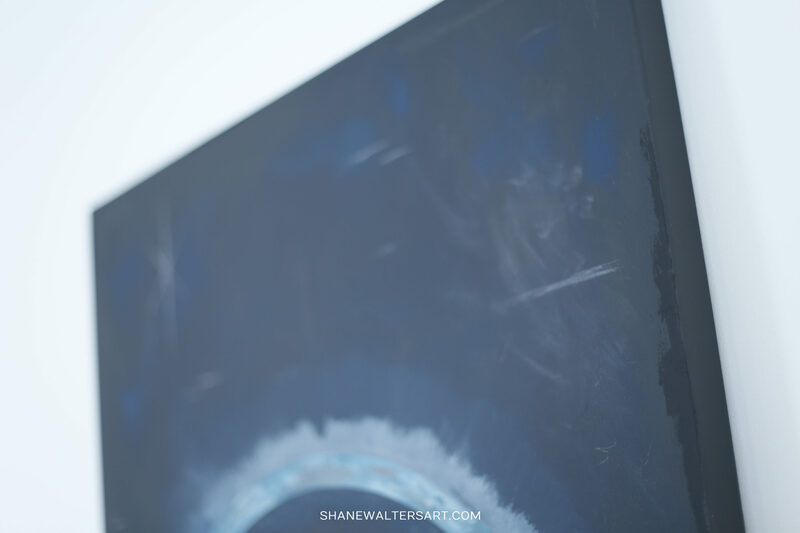 This is a large 30″ x 48″ oil on canvas painting. 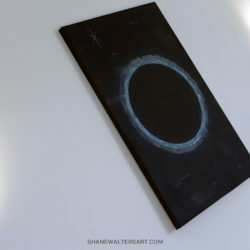 It features silver and gold sprinkled over teal across a matte black canvas in an outer space setting.